Jahfree Jones is a quartet consisting of two guitars, bass and drums. 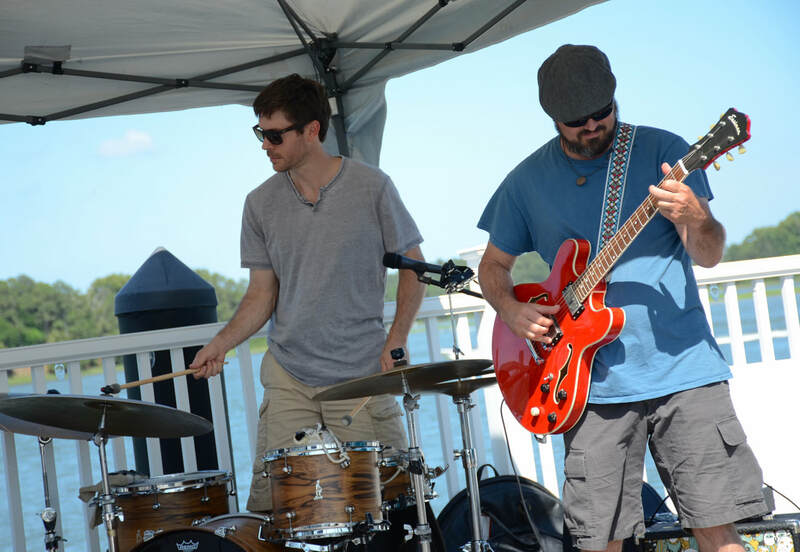 They play original tunes as well as an eclectic mix of cover tunes ranging from the Kinks and Arcade Fire to Leon Russell and the Talking Heads. This group of musicians have been performing together for 3 years, and folks are raving about their captivating stage presence, musicianship and punctuality. Amidst the unexpected blizzard of January 2018 in Machipongo Virginia, two of the members of Jahfree Jones dug themselves out of their respective prisons of precipitation and set off for a musical sojourn to Richmond. Six hours of treacherous road conditions and questionable southern snow driving later, they arrived at Minimum Wage Studio in the Oregon Hill neighborhood of Richmond Virginia; a cozy and inspiring space filled with eclectic decor, captained by veteran studio engineer, producer and musician, Lance Koehler. Jahfree Jones proceeded to record their first collection of original tunes. Solid song writing from Austin Riopel and Brian Irminger serves as a firm platform for the guitar acrobatics of Jim Fabricatore and rhythmic ingenuity of Geoff Bakel.